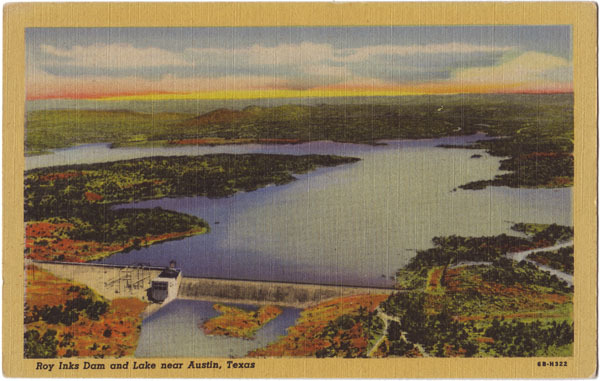 Text on Back: Roy Inks Dam and Lake, 50 miles west of Austin. Built and operated by Lower Colorado River Authority in connection with its other dams for flood control and hydro-electric power. More than 1100 acres of the shore of this lake are now operated as Texas State Park providing ideal boating, camping, swimming, and fishing year 'round. Page generated in 0.0050 seconds.